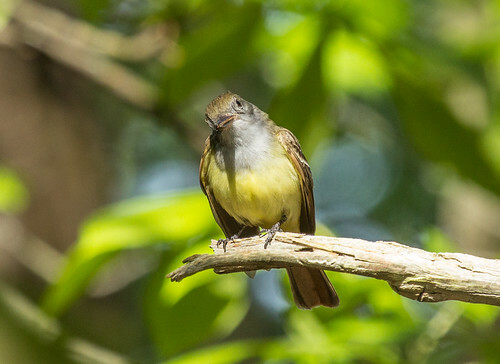 This handsome flycatcher is much more often heard than seen. It nests in cavities, and often incorporates snake skins into its nest. It used to be a common bird in rural areas.